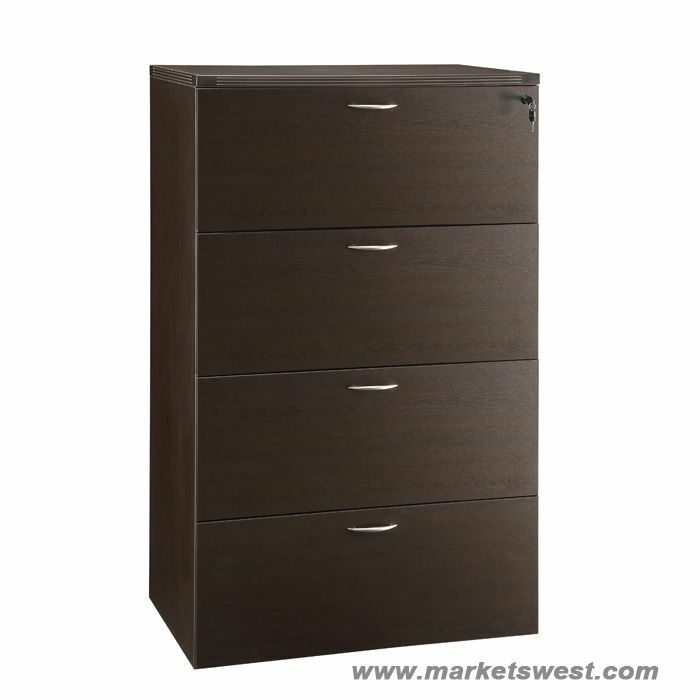 4-Drawer Lateral File 36x22x56, Espresso/Urban Walnut Laminate Finish. 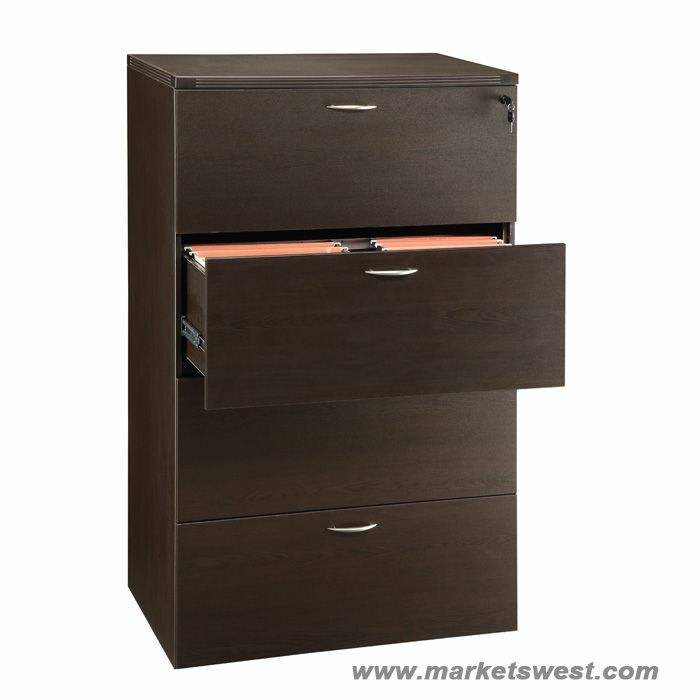 Pre-installed metal filing hardware for legal/letter filing and anti-tilt feature. 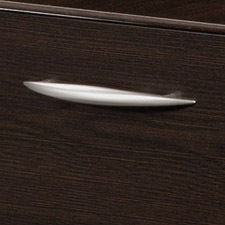 Full-extension, ball-bearing drawer slides. 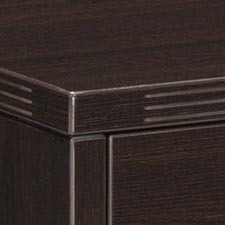 Napa modular laminate casegoods provide extensive selection, capability and value. 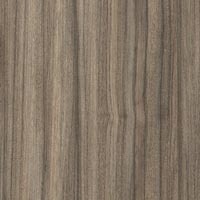 Enter Napa Espresso laminate with impact resistant 3mm PVC edges with wood grain design and tri-groove design detail providing long-term durability. 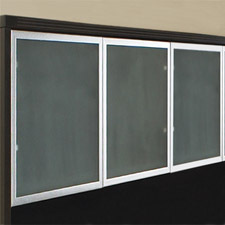 Contemporary accents include solid metal, nickel finish pulls and frosted glass hutch doors with aluminum frames. 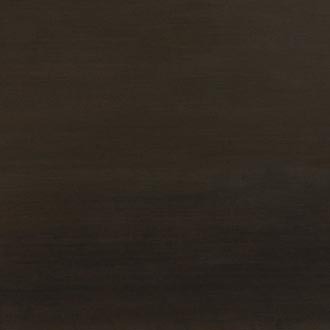 From executive and management offices to task environments and high-density areas, Napa excels for today's businesses. 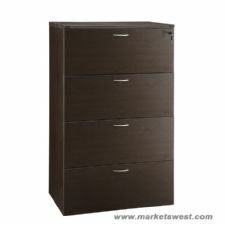 4-Drawer Lateral File 36X22X56, Espresso/Urban Walnut Laminate Finish. 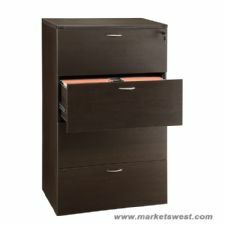 Includes: 4-Drawer Lateral File 36X22X56, Espresso/Urban Walnut Laminate Finish.